At Star Office Machines with Louise Marler, typewriter artist. Woody Allen, who only uses a typewriter — joins Amazon. 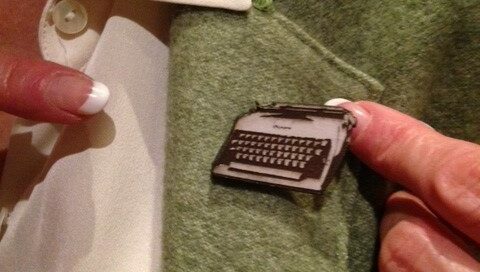 A typewriter pin from National Portrait Gallery in Washington.